Go to original pattern for design DROPS 67-5. 300-350 g. col. no. 01, natural white. DROPS 15 mm [US 19] needles, or size needed to obtain correct gauge. 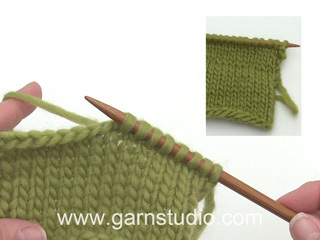 Gauge: 6 sts x 10 rows in garter st = 10 x 10 cm [4" x 4"]. Front: Cast on 28-32 sts with 2 strands Puddel. 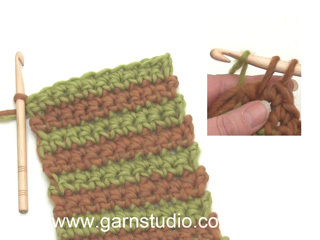 Change to 1 strand and knit garter st over all sts. 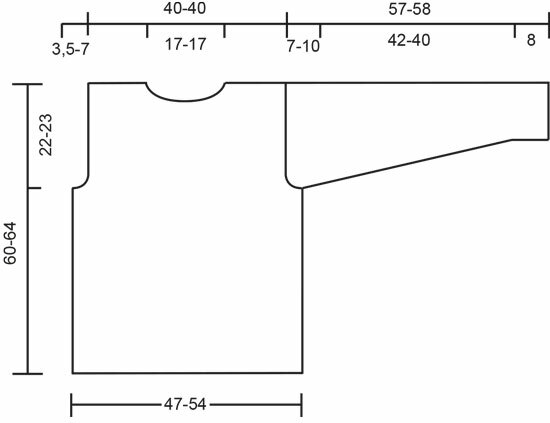 When the piece measures 38-41 cm [14 7/8" - 16 1/8"] dec 1 st for armhole at each side every other row 2-4 times = 24-24 sts. When the piece measures approx. 55-59 cm [21 5/8" - 23.25"] put the 6-6 sts at center front on a st holder for the neck. Dec 1 st at each neck edge every other row 2-2 times = 7-7 sts remain on each shoulder. 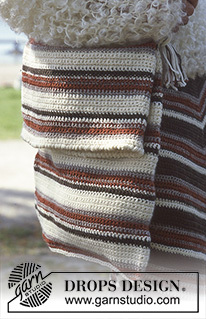 Bind off when the piece measures approx. 60-64 cm [23 5/8" - 25.25"]. 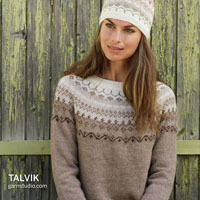 Back: Cast on and knit the same as the front, but bind off all sts when the piece measures approx. 60-64 cm [23 5/8" - 25.25"], the center 10-10 sts = neck opening. 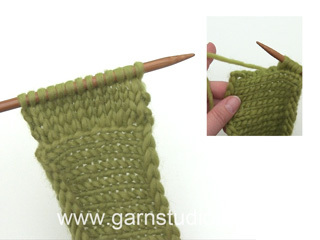 Sleeve: Cast on 16-16 sts with 2 strands Puddel. 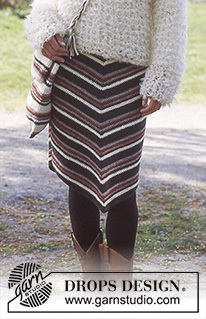 Change to 1 strand and knit garter st over all sts. When the piece measures 8-8 cm [3-1/8"] inc 1 st at each side 4-5 times every 12-9 cm [4.75" - 3.5"] = 24-26 sts. When the piece measures 50-48 cm [19.75" - 18 7/8"] dec 1 st at each side until the piece measures measures 57-58 cm [22.5" - 22 7/8"], bind off. Assembly: Sew right shoulder. Pick up approx. 24 sts (including sts on st holder) around the neck. Knit garter st for approx. 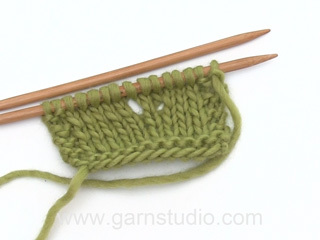 12 cm [4.75"] (or desired length), bind off with double strands of yarn. Sew left shoulder and collar edge. Sew in sleeves. Sew sleeve and side seams.